WHAT WE DID: CONCEPT, CREATIVE DIRECTION, ART DIRECTION, DESIGN, ANIMATION, ORIGINAL MUSIC & SFX, COPYWRITING, GUIDELINES. When looking at the world of kids today, one of the things that captured our attention the most was this idea of multiplicity constantly popping up: as in multicultural, multiscreen, multitasking, multitalented, multimedia, multiple-choice. 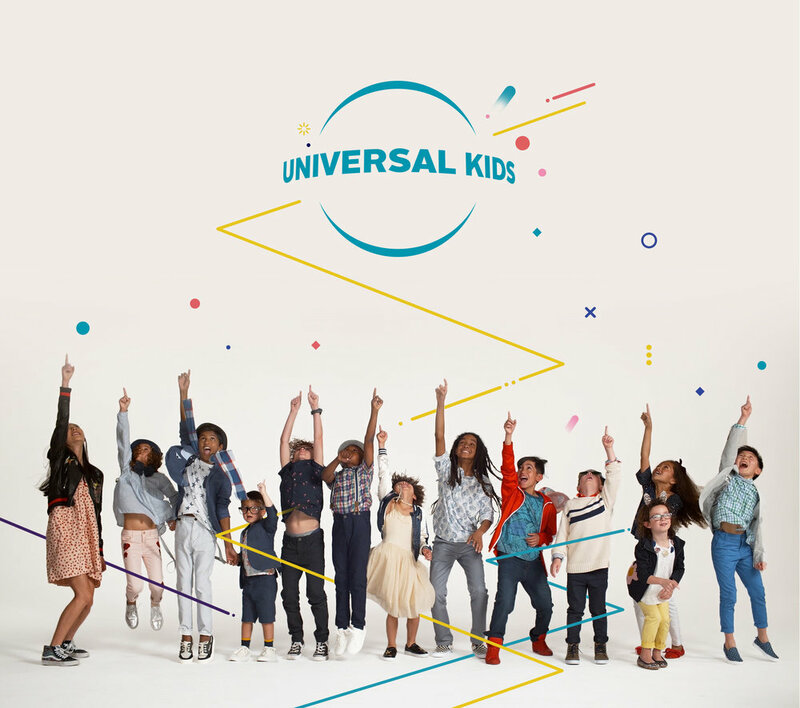 So our winning proposal for the launch of the new Universal Kids channel revolved around one core concept: the Multiverse. The Multiverse is this Universe where a multicolored palette avoids pure hues and embraces mixes. Where stacks of information reverberate and bounce. And loads of lines connect visual elements, squiggling and twirling with a sense of play. Where multidirectional shapes and patterns multiply in multitudes, overlapping and building on each other to express the multidimensional make-up of Universal Kids. To show them what they are truly capable of. To widen their eyes and open their minds, inspiring them to not just watch but do. To let what they see onscreen propel them back out into the world with a new sense of amazement.